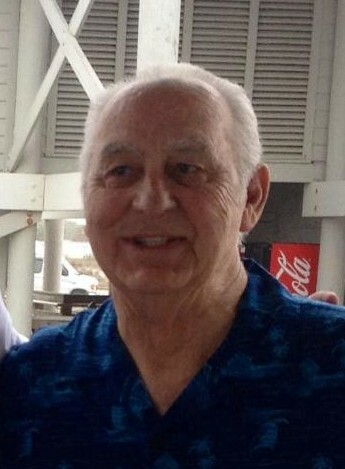 James William Groce, Sr., 80, of Chickamauga went to his heavenly home on Saturday, November 3, 2018. He was a lifelong resident of North Georgia. Mr. Groce attended Rossville Junior High and Rossville High School before joining the Air Force in 1955. He served the United States Air Force from 1955 to 1960 and had worked as an over the road Truck Driver as a tandem team with his wife. The last three years of his career he owned and operated D & J Trucking, retiring in 2000. He was a former member of Dalton Church of God/Crosspointe Church having served as the Director of Senior Ministry. Mr. Groce was an active participant and Past Director of the Walker County Tea Party. His passions in life were God, his family, hunting, watching humming birds and yellow finches in his backyard, and enjoying all the outdoors had to offer. He will be dearly missed by his family and friends. He was preceded in death by his parents, Clyde and Velma Groce; and brother, Wayne Groce. Survivors include his wife of 62 years, Daisy Groce; three children, Debbie (Dennis) Keith of Chickamauga, Bill Groce of Lafayette, and Dewayne (Sheila) Groce of Dalton; two sisters, Brenda Groce Milan and Linda Newberry, both of Cartersville; six grandchildren, Anthony and Josh Groce, Jeremy, Dustin, and Ryan Keith, and Daniel Groce; twelve great grandchildren; and several nieces and nephews. Graveside services will be held Monday at 3:30p.m. at the TN-GA Memorial Park with Reverend Raymond McCraine officiating. The family will receive friends Monday from 12noon until 3:00p.m. at the South Crest Chapel of Lane Funeral Home and Crematory, located at the end of historic Missionary Ridge, Rossville.